This large extension to the Taylor Institution was built in two phases in the 1930s on the site of six houses. It was designed by Harold Hughes and made of Bath, Portland, and Clipham stone. It is Grade II listed (List Entry No. 1369442). 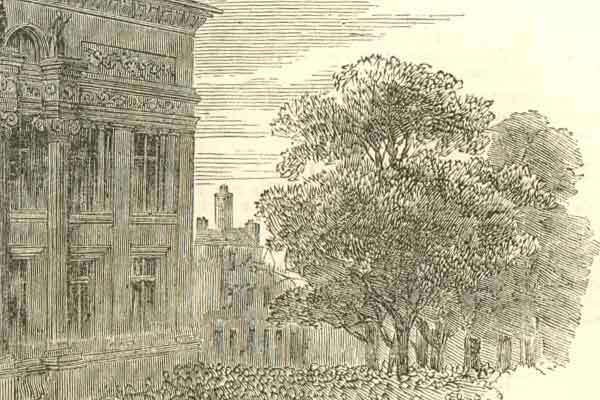 The detail below from an engraving of 1853 shows the entrance to Wyatt’s Yard and No. 73, now part of the site of the extension. The entrance to the old Wyatt’s Yard (which was given the number 74 when all the houses to the south were demolished to make space for the old part of the Taylorian) is now a side entrance to the Taylorian between the original building and the first extension. 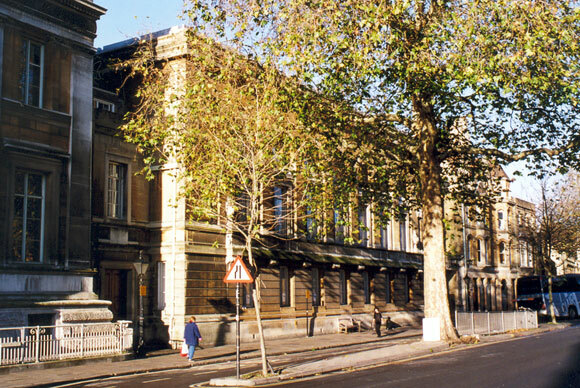 The first section of the new extension was opened by the Prince of Wales on 9 November 1932. Salter in The Oxford Deeds of Balliol College lists most the occupants of Nos. 73 as neighbours during the period it owned No. 74 to the north. The northern side of the extension could not be completed until the leases of Nos. 68 and 69 ran out. 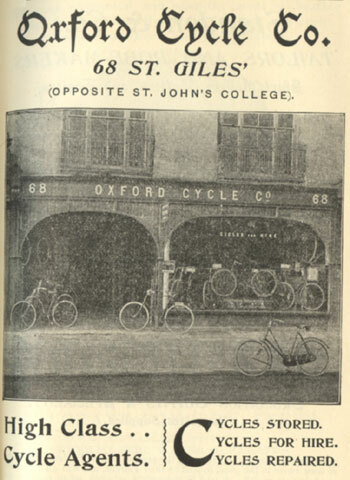 The advertisement on the left, taken from the University Calendar of 1897, shows what 68 St Giles looked like. The plan below which dates from 1876 shows all the houses that were demolished: No. 68 was evidently a grand house, with a fountain in the garden. 72 and 73 St Giles were tenements of Christ Church, and in 1829 they were leased to Mrs Dodd. The occupiers were then Mrs Skidmore, Peckover & Bateman, Munt, and William Hemmings. Next to No. 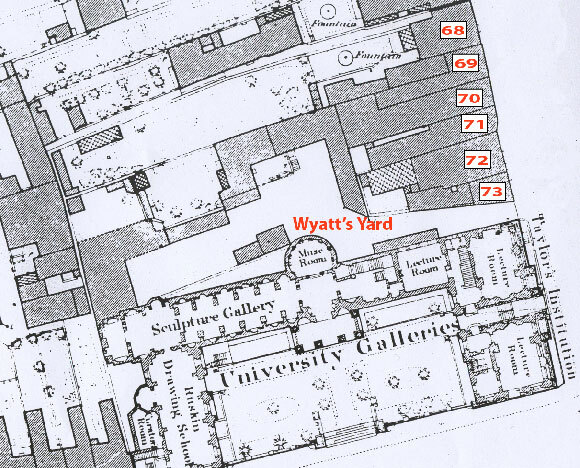 73 was the entrance to Wyatt’s Yard, which was given the number 74 following the demolition of Nos. 74–78. Margaret Wyatt is listed as the builder there from 1846 to 1861. At the time of the 1861 census she was aged 78 and described as the employer of 56 men. 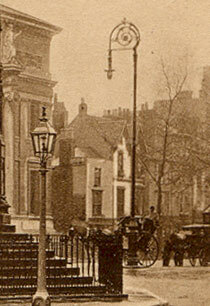 The firm is listed as G. Wyatt & Son (Masons & builders) from 1866–91. By the time of the 1881 census Thomas Wyatt was in residence, described as the employer of 60 men. George Wyatt, the ironmonger at No. 70, also owned Nos. 66 and 67, moving into the latter in the 1860s after he had rebuilt it. 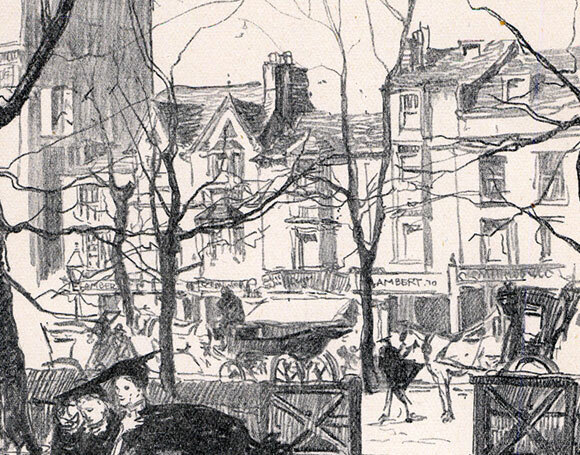 The engraving below (made by Frederick Charles Richards in about 1912) shows the shops demolished in 1931 to make way for the first Taylorian extension. The shop names that can be read on the original are Lambert at No. 73 on the left (next to the old part of the Taylorian) and Lambert again with the number 70 three doors to the north. The shop on the right (No. 69) was spared until its lease ran out in 1937.